A quick heads-up that the latest issue of the newly-streamlined, every-two-months Shiny New Books is live today! I have a few reviews featured in this edition, and for today I shall point you in the direction of my Teffi coverage which is in the Reprints section. 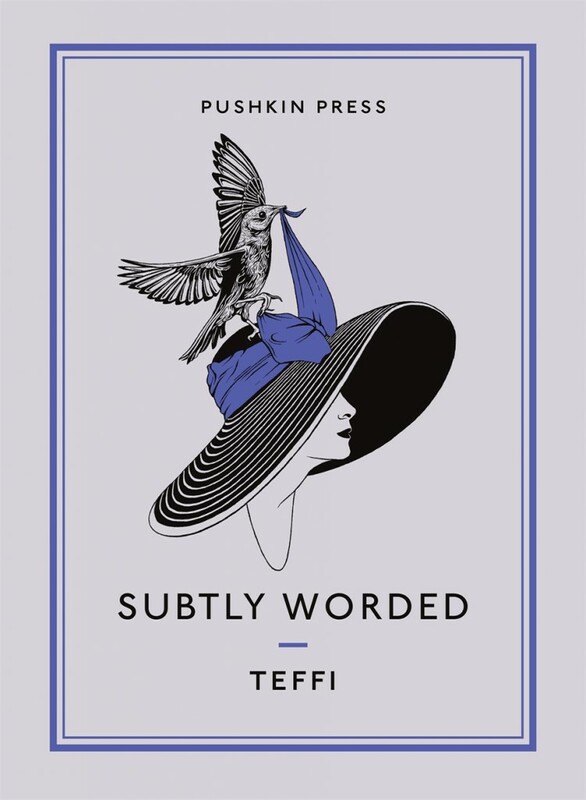 Teffi is never anything less than a captivating narrator, and reading this I couldn’t help wishing she was somebody I had been able to make the acquaintance of. To read more of this review, pop over to Shiny here. Teffi was a master of the short form, and the pieces gathered here are arranged chronologically to build up a picture of her life. As I mentioned in my review earlier today, when I covered the wonderful “Rasputin and Other Ironies”, there is a second Teffi book arriving today from Pushkin Press, in the form of her stunning memoir, “Memories: From Moscow to the Black Sea”, translated by Robert Chandler, Elizabeth Chandler, Anne Marie Jackson and Irina Steinberg. Teffi left Russia for good in 1919 and this volume, first published in instalments in Paris between 1928 and 1930, tells of her flight from her homeland. The story opens in an autumnal Moscow, cold and suffering from food shortages. As people scavenge to survive, Teffi is offered temporary relief via a rather elusive impresario nicknamed Gooskin. The latter has a plan to take Teffi to Kiev and Odessa, doing public readings, as there is reputedly more food there (and they’ll also be in less immediate danger from the conflict). However, getting out of Moscow is not so easy in the middle of Civil War and the obtaining of passports takes some wangling. 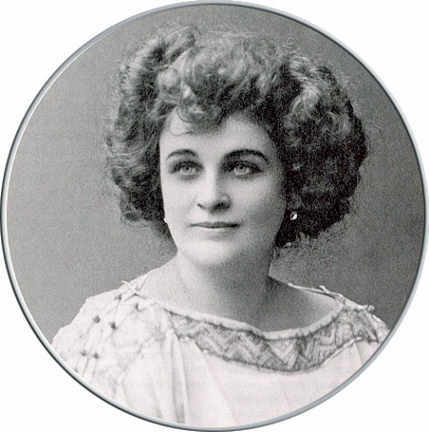 However, Teffi is a much-loved figure in Russia and the necessary permissions are eventually obtained. So in the company of Gooskin and some fellow performers, Teffi takes leave of Moscow and begins a long and tortuous journey that will eventually lead her into exile. And it’s a journey that’s fraught with problems; Civil War Russia was a dangerous and insecure place to live in, with vicious and cruel fighting taking place. Those on both sides were not just conscripts or regular soldiers; they were people deeply committed to their cause, who had come through the horrors of the first world war and were now battling for an ideology. So the country was desperately unstable, with pockets of conflict everywhere, and the traveller never quite knew whose hands he or she would fall into next. Now that something had been arranged, I realized just how much I wanted to leave. Now that I could gather my thoughts, I felt frightened. I could see what life would be like for me if I stayed. It wasn’t death itself that I was afraid of. I was afraid of maddened faces, of lanterns being shone in my eyes, of blind mindless rage. I was afraid of cold, of hunger, of darkness, of rifle butts banging on parquet floors. I was afraid of screams, of weeping, of gunshots, of the deaths of others. I was tired of it all. I wanted no more of it. I had had enough. In engaging prose, Teffi takes us on the journey with her, as the troupe carefully make their way to Kiev, and then Odessa. There are run-ins with troops and border guards; encounters with fans; ghastly lodgings and influenza; and all the time the spectre of pursuit and troops. Because make no mistake, despite Teffi’s light tone, she’s travelling through a very dangerous landscape where brutal and unspeakable things have been, and are still, happening and where humanity is losing its grip. Teffi is never anything less than an engaging narrator, and reading this I couldn’t help wishing she was somebody I had been able to make the acquaintance of. She’s always resilient, trying to put the best spin on everything, but the moments of humour and irony are counterbalanced with the horrors being experienced in Russia at the time; and Teffi is clear-eyed enough to know exactly what is happening in her beloved homeland. And then there I was, rolling down the map. Fate had pushed me on, forcing me wherever it chose, right to the very edge of the sea. Now, if it so wished, it could force me right into the sea – or it could push me along the coast. In the end, wasn’t it all the same? Eventually, Teffi reaches the end of the road; in Novorossiisak, despite trying to hang onto some normality and making appearances at a nearby town, it becomes clear that there is nowhere else to go but abroad. Constantinople is the next stop for Teffi and we take our leave of her as she bids an emotional farewell to the homeland she would never see again. It’s a poignant moment, especially for the reader who knows that Teffi will travel on, eventually spending the majority of the rest of her life in Paris. In essence, the whole of the book is a long farewell to her former life and it’s quite obvious that she never really managed to accept the loss of her Russian life or the fact of Bolshevik rule. I close my eyes and gaze into the transparent green water far beneath me…. A merry shoal of tiny fish is swimming by. A school of tiny fish. Evidently they are being led by some wise fish, some fish sage and prophet. With what touching obedience the entire shoal responds to his slightest movement. If he moves do they all. And there are large number of these fish. Probably about sixty of them. Circling, darting this way and that way, wheeling about… Oh little fish, little fish, can you trust this leader of yours? Are you sure your foremost philosopher-fish is not simply a fool? I really can’t recommend this book highly enough; if you want a glimpse into the chaos of the Russian Civil War through the eyes of a great writer, this book will give you that. It will also show you the highs and lows that human beings can reach, how friendships can come from unexpected sources, and how fragile the thread holding our lives is. Teffi’s writing is vivid and evocative, and while I was reading “Memories” I was living the experiences alongside her, both good and bad. Thank goodness she survived to tell her tale….